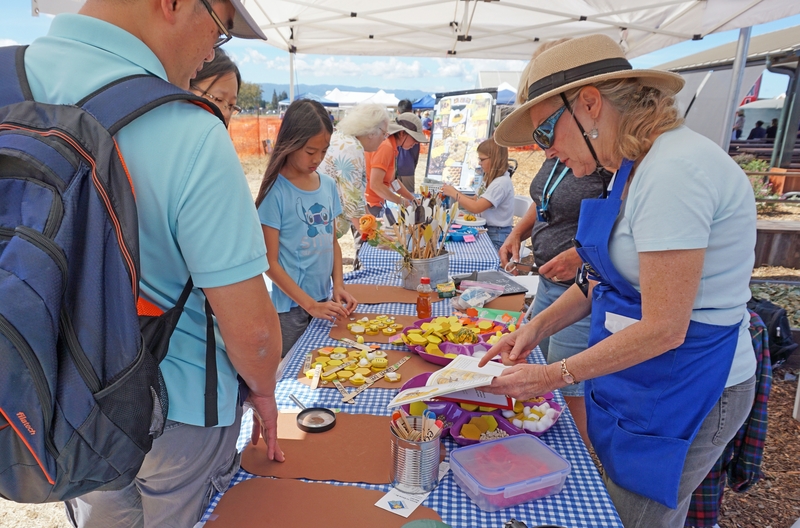 Hands-on crafts, farm animals and fresh organic produce brought the Santa Clara County community to the Martial Cottle Park Harvest Festival in San Jose Oct. 6. 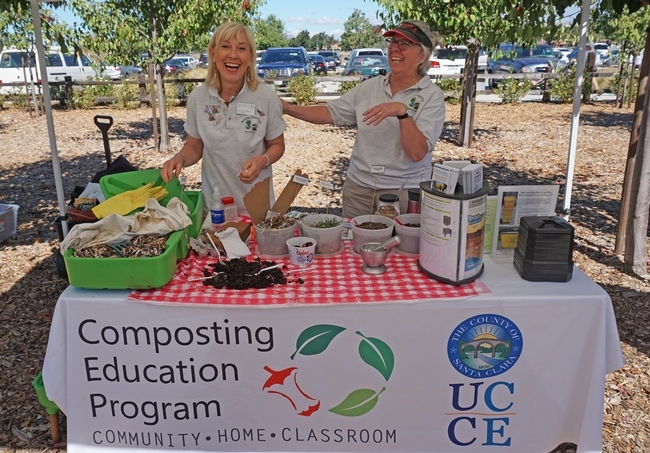 UC Cooperative Extension in Santa Clara County participated to share gardening information, composting basics and the fun of 4-H with children and families. 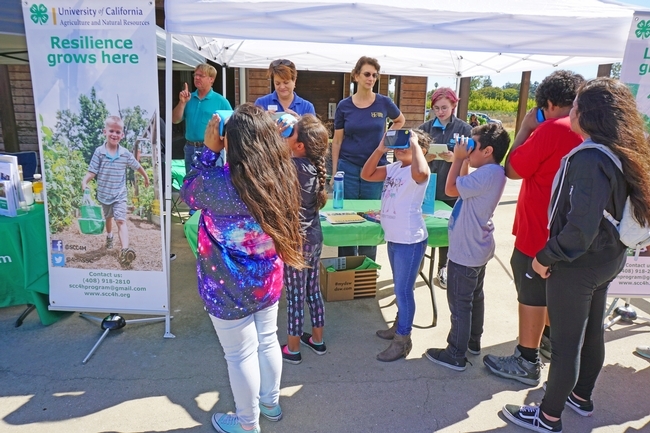 The UCCE 4-H program brought virtual reality goggles that allowed children to look in any direction for a view under the sea, complete with coral, fish and a sea turtle. Santa Clara County 4-H ambassador Alexa Russo used a tablet computer to interact with the children as they looked through the goggles, asking questions to engage them in the experience. 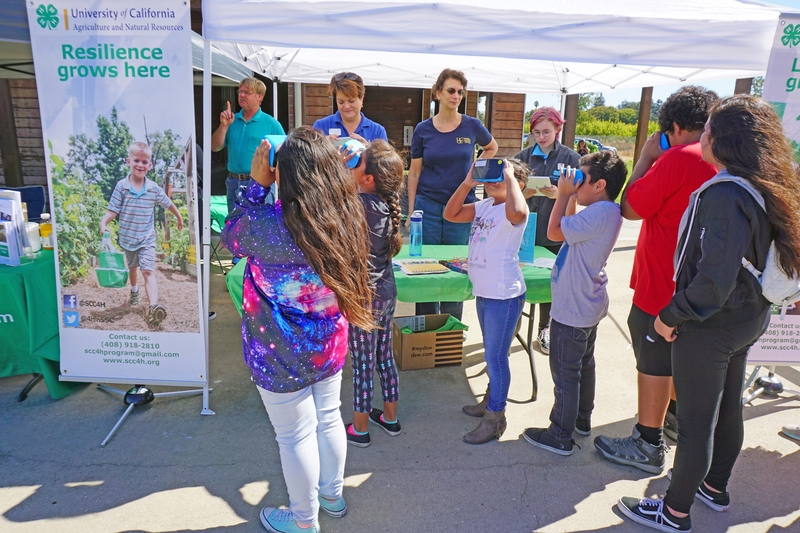 Children peer through VR goggles to see an undersea world, a 4-H activity shared with potential new members at the harvest festival. Behind the table from left are 4-H volunteer Stan Alger, 4-H program representative Sue Weaver, 4-H youth development advisor Fe Moncloa, and 4-H teen ambassador Alexa Russo. The goggles are just one way 4-H is seeking to light a spark of interest in youth. 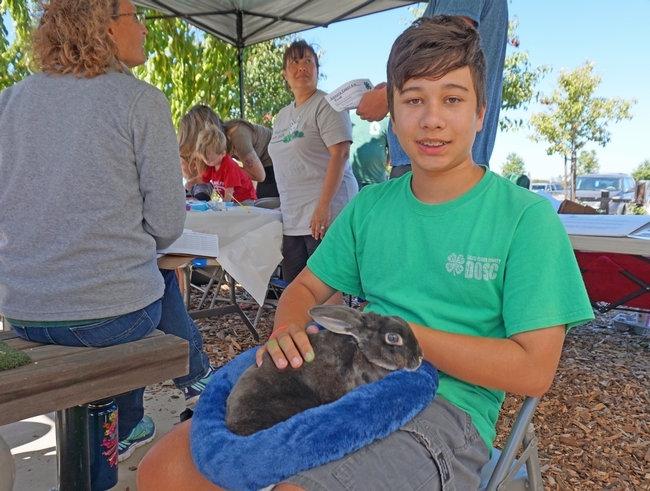 In clubs throughout the state, 4-H youth are taking part in fun computer science and engineering projects while learning about healthy living, citizenship and leadership. Booth visitors intrigued by the goggles at the harvest festival were invited to participate in a free event at the Google Mountain View Campus called Code Your World. The activity was developed by 4-H, Google and West Virginia University Extension to teach children about computer science with games and interaction. The Oct. 13 event is being held to to mark 4-H National Youth Science Day. 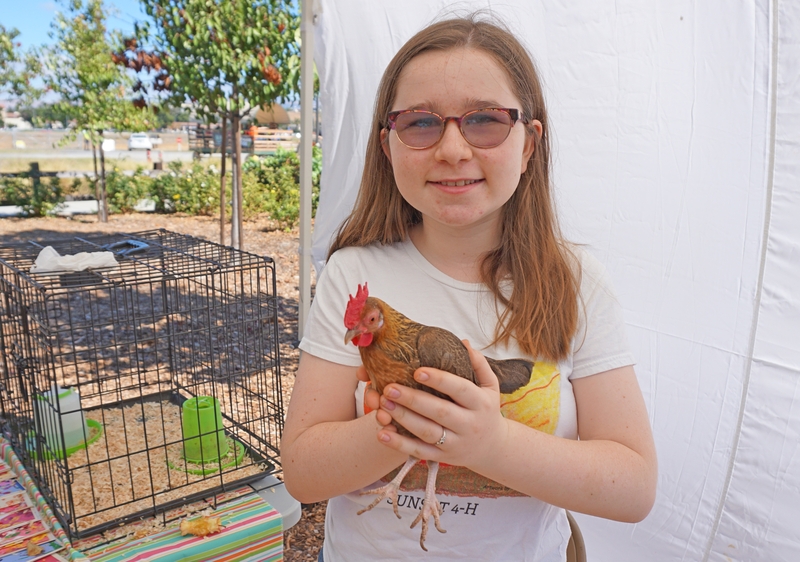 For more information on Code Your World and the Youth Science Day event, see the Santa Clara County 4-H website. Sunset 4-H member Kate Straub shows off her old English game hen. UCCE certified master composters encourage Santa Clara County residents to turn their green and food waste into a rich garden amendment. UC Master Gardener volunteers answered garden questions in their four-acre demonstration garden. 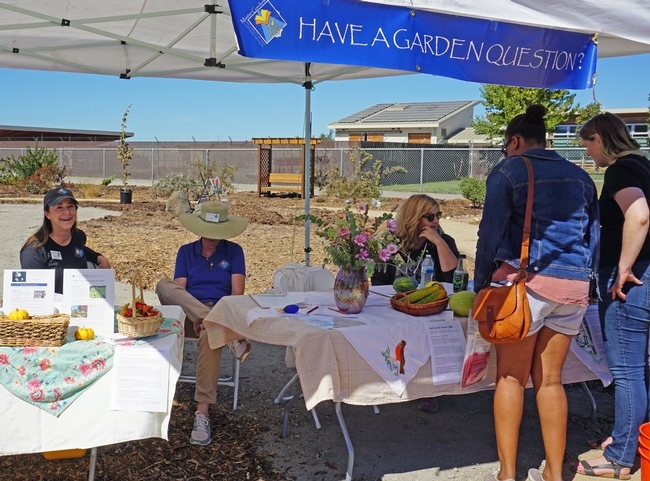 Master Gardeners offered a learning activity to youth visiting the event. 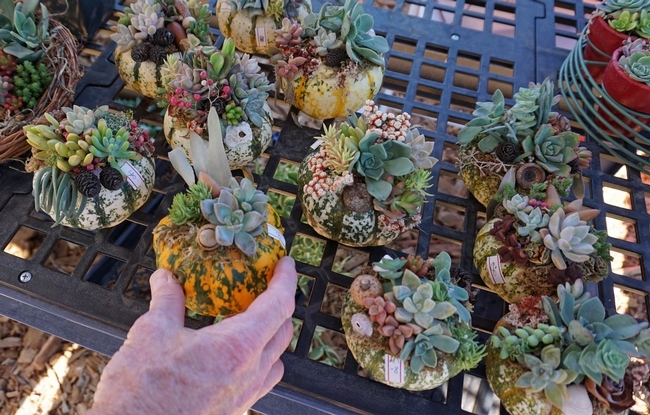 Fall succulent sales raised funds to support the Master Gardeners' garden. Coyote Crest 4-H member Wes Hann with his brother's rabbit at the harvest festival.